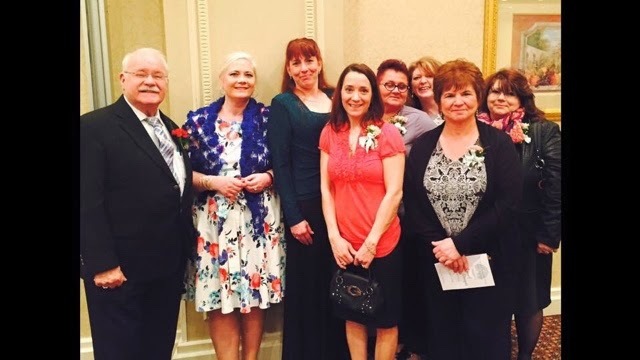 Katrina's Kreative Heart: Celebrating 25 years of Nursing! Celebrating 25 years of Nursing! Last evening was wonderful! 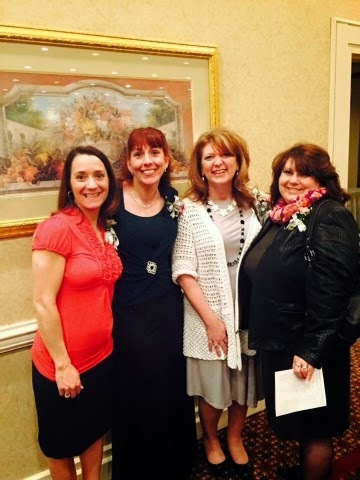 I attended my alumni banquet and had the pleasure of catching up with some wonderful friends from my past. It was so great seeing everyone, I only wish more could have joined us. Everyone looked great and everyone seemed so happy to be there...I know I was. Even better, we were able to exchange contact information and Facebook info to "friend" one another so we can stay in touch...yeah, 25 years ago when we graduated from nursing school there was no such thing as Facebook, heck, there was no such thing as Internet! I present to you the class of 1990! Here are those of us that lived in the dorm for 2 years together. So many memories. Last night was a lot of reminiscing as much as it was catching up and it was a great evening. Now, I'm off to the stamp room! Have a great evening! It's time to think about Retirement! Don't forget the Clearance Items!